A small, sunny island in the southern Dutch Caribbean, Bonaire is located 30 miles east of Curacao and 86 miles east of Aruba. Although it’s the second largest of the "A-B-C" islands (Aruba, Bonaire, Curacao), it’s the least populated, creating an island oasis that never feels crowded. Thanks to its location outside the hurricane belt, the island enjoys beautiful weather year-round. Average temps of 82°F, very little rainfall, and warm easterly trade winds create an experience that ensures first-time visitors become lifelong friends. 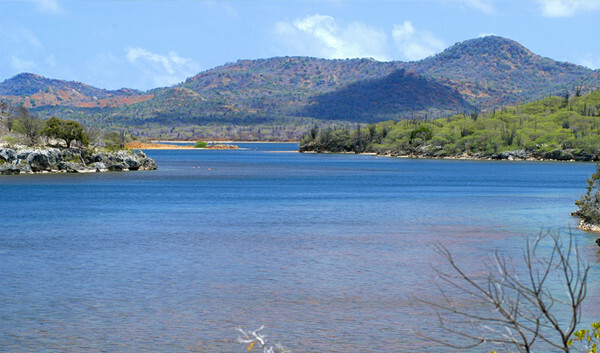 Bonaire is renowned for its excellent scuba diving and snorkeling. Its coral reef is a national park designated by the National Oceanic & Atmospheric Administration as having not only the Caribbean’s most pristine reef environment but also the most species of fish. Incredibly, it sits just a few feet from the coastline, making first-class dive sites remarkably accessible. Above the surface, visitors can take their pick of watersports, including fishing, sailing, world-class windsurfing, kitesurfing, and kayaking the island’s mangrove system. Birdwatching, hiking, caving and rope climbing Bonaire’s limestone walls are popular, land-based experiences. 4 times per week on Saturdays, Mondays, Wednesdays and Fridays. 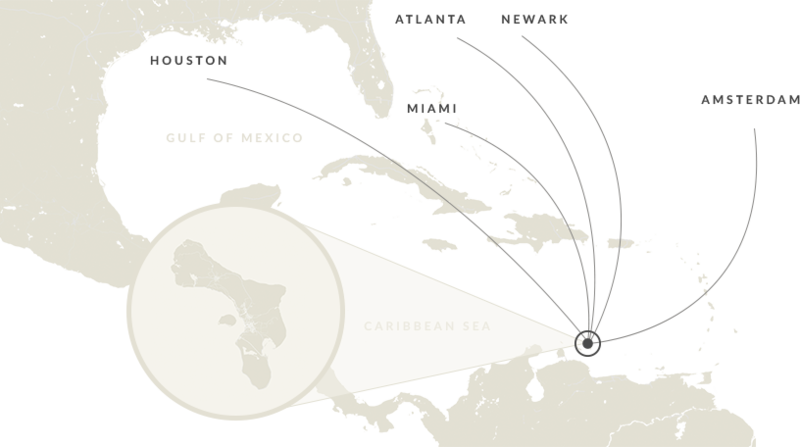 Delta Airlines, Non-Stop service from Atlanta to Bonaire (ATL-BON) on Saturdays and Sundays. United Airlines, Non-Stop service from Newark to Bonaire (EWR-BON) on Saturdays. Also, non-stop service from Houston to Bonaire (IAH to BON) on Saturday with Sunday return Bonaire - Houston. Jet Blue, Non-Stop service from JFK to Curacao (JFK-CUR) on Tuesday and Saturday, which require connecting flights from Curacao to Bonaire with Insel Air or Divi Divi Air. KLM non-stop service from Amsterdam to Bonaire on their Airbus A330. KLM operates multiple round trips to Bonaire with extra flights before and after Christmas season. TUI Airlines, non-stop service daily from Amsterdam to Bonaire on their 787 Dreamliner. Air Berlin, non-stop service from Dusseldorf to Curacao. Non-stop flight time from Amsterdam is approximately nine hours.